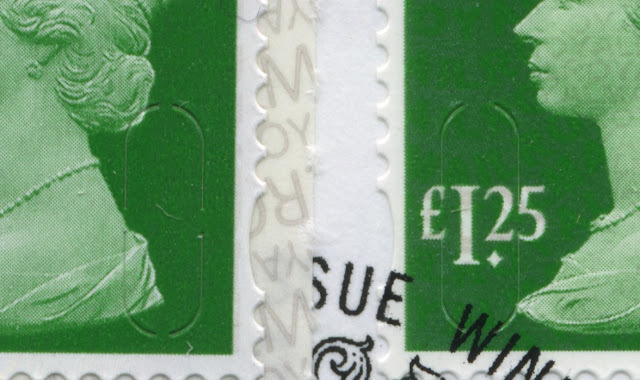 It has been well known for many years that the definitive stamps applied to Royal Mail standing order FDCs are produced in mutli-value side-ways delivered coils, usually with a different direction of print (DOP), to those sold in sheets. This has been of interest mainly to extreme specialists who can see and therefore monitor and collect DOP differences. 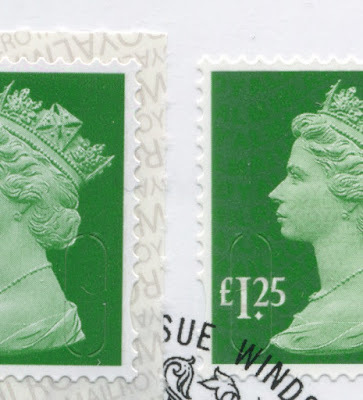 I don't usually obtain those FDCs but lacking time, and needing to add the £2.25 M18L stamp to some, I ordered from Royal Mail unused FDCs with stamps affixed: one of the benefits of dealer registration means that we can do this and then have any postmark applied. Needless to say these are not available mint on backing paper and are only available unused* on Royal Mail FDCs which have not been postmarked. UPDATE 5 April: Royal Mail have confirmed that the stamps on the FDC were printed by ISP (so Walsall as they are gravure, one assumes). Some had thought that they were printed by DLR or even Enschede. They won't, of course, have separate numbers in the mainstream catalogues although Deegam may record the distinction. I'll record this as a note in our Checklist. * Anybody who is interested in having one of these should contact me by email only as soon as possible. Thank you. 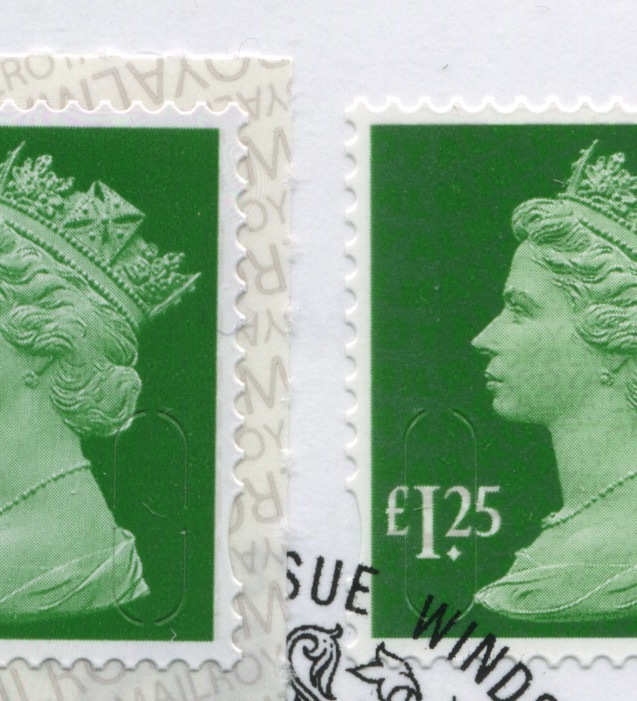 Are the stamps in the presentation pack and the sets supplied by T.H the same as the sheet stamp?